Money flees high taxes and oppressive regulation. Those who watched the 1979 thriller The China Syndrome were treated to the scientifically-implausible thought that an out-of-control nuclear reactor could burn through the bottom of the containment vessel, sink into the earth's crust, and end up in China. While theoretically possible, such a disaster is profoundly unlikely; Three Mile Island, the worst American nuclear incident in history, released lower radiation levels than the natural radiation in the granite walls of the room in which the US Senate held hearings about the incident. Alas, that mere fact didn't do anything to quiet the hullabaloo, and nuclear power has suffered from an undeservedly bad reputation ever since. The China Syndrome is fanciful when it comes to nuclear power, but exactly that sort of meltdown is threatening our society. We've explained how high 1970s taxes in Massachusetts drove productive people to leave for California, leading to the founding of Silicon Valley near San Francisco instead of near Boston. Californians didn't learn from the Massachusetts experience; they in turn are driving their high value citizens to other states. The recent economic slowdown has spread this phenomenon - high-income people are leaving New York, Michigan, New Jersey, and other high-tax states as the states attempt to balance their budgets by raising taxes instead of by cutting spending as we taxpayers have had to do. The news media are bleating about the threat to the budgets of the states from which people are departing and worrying about all the poor people who'll lack "essential services." The migrations of high-tax citizens is an interesting news item - Mayor Bloomberg pointed out that 1% of the people who file taxes in New York City pay about 50% of all city taxes. That's 40,000 people, and even a handful of them leaving will cause the city noticeable fiscal pain. It's been said that New York City is a luxury good. That it is, and keeping the city afloat has been a drain on the rest of the state and on the federal government for decades. With the state in a budget crisis of its own, with the state employee unions fighting to the death against any cuts in pay or benefits, with the profitable part of the electorate literally pulling up stakes and moving away, New York's luster may fade. The issue runs a lot deeper than short-term revenue shortfalls, however, as the unfolding elections for governor in Virginia and New Jersey reveal. Both states have Democratic current governors and vigorous Republican challengers. The Virginia Republican is way ahead in the polls, but the race in high-tax, famously-corrupt New Jersey is too close to call despite the Republican challenger being well-known for putting crooks in jail and the governor being surrounded by crooks who are under investigation. Every election in my students' memory, and my own, has been billed as the most pivotal in a generation, and every one has focused on the same issues. Candidates swear they'll tackle corruption, lower property taxes, and do something good about transportation and something even better about education. What's going on here? Aren't the people of New Jersey aware of the corruption and inefficiencies that decades of one-party Democratic rule have brought to their state? The Times points out that many potential voters are more interested in the World Series than in the upcoming election - after so many broken promises, they've decided that corruption and high costs can't be cured. They've decided that crooks and leeches are so well entrenched that no election can make any difference. What we're seeing is the early edge of John Galt's China Syndrome: the voters giving up. Not all states are equally prone to this problem. Although the Massachusetts government has done its best to drive high-value citizens out of the state, MIT, Harvard, and many other universities are located there. High-bracket taxpayers find living near these institutions attractive enough to put up with the excessive costs imposed by the People's Republic of Taxachusetts, at least for now. There are limits, however. Neither the California climate nor its university system have been able to stem the exodus of wealth-creating California taxpayers. New Jersey corruption has been driving people away for years and there aren't as many unique attractions to hold the wealthy in the state. People of initiative who cared about being harmed by corruption and high taxes have already left and no longer vote there. What remains of the Jersey electorate are voters such as state employees and welfare recipients who benefit from corruption and high taxes. It's perfectly logical for them to vote for more of the same; after all, they individually benefit more from waste than they suffer from it. If the Democrats win, New Jersey taxes will really take off and we'll have a meltdown as people abandon their homes - just as took place in Detroit, Michigan. Once one of the highest-income cities in the country, Detroit has driven out so many of its productive people and fallen so far into the third world that the average house sells for $8,000, if you can find someone to buy. That's John Galt's China Syndrome. Instead of going on strike as in Ayn Rand's novel, wealthy people vote with their feet and move away, leaving behind the unproductive leeches who'll naturally vote for more leeching as long as there is any blood left to leech. When the leeches finally kill the patient as in Detroit, however, it isn't pretty - and Michigan has still not learned the lesson, with Democratic Governor Jennifer Granholm having recently moved to "solve" Michigan's problems by piling on even more taxes. For the moment, wealthy folks are still permitted to move to lower-tax states which keeps their earning power in the United States, but people we know are slowly transferring their assets offshore in anticipation of federal taxes exploding to pay for Mr. Obama's budget-busters. 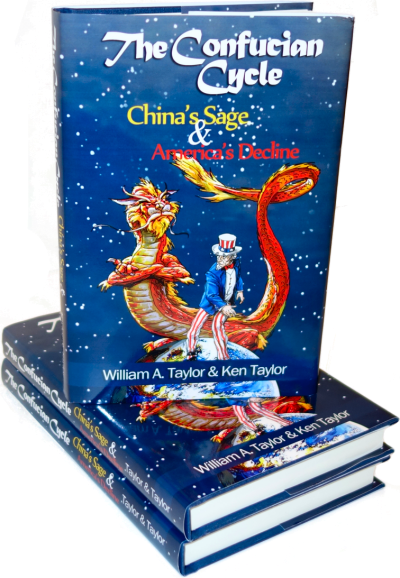 The smart, savvy businessmen who have created wealth in America for centuries won't burn their way through the earth to China, but they and their money may well end up there all the same. Red China, the land of opportunity. Like the title of Ken Hamblin's book says: Pick A Better Country. Do you really think that China is a better country? What happens if the commies suddenly decide to start cracking down. Of course China is not a better country. The Times reports that the hedge funds can't find anything in which to invest. No surprise. Private equity firms sit atop an estimated $500 billion and are desperate to find deals worth doing. "The best country"? When they're all the same there will be no "best country". Look at tax rates around the world. Interestingly, they're all very similar ... even between and among countries that we normally think of as very different. The "new world order" is destroying national sovereignty and turning us into slaves of an "international class" that is very similar to the aristocracy, the nobility, the royalty of earlier eras. Have we forgotten everything we learned during The Enlightenment? @R L - we have indeed forgotten all the lessons of history. How often do we try some variant of socialism all over agian, knowing that it will not work? This is particularly risky in a democracy because the voters discover they can vote benefits for themselves. Spanish coal miners are rioting as British miners did under Thatcher. Having established a comfortable lifestyle supported by others, the don't want to give up their perks.